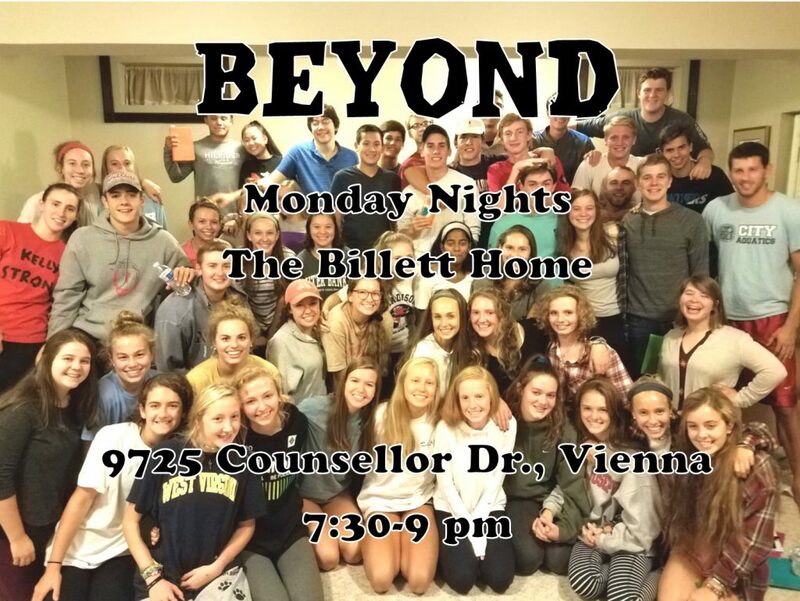 High School BEYOND- Meets most Monday Nights of the year! We are excited to be collaborating with Vienna Young Life to gather Vienna students that want to grow with Christ into community. We will be learning what it means to follow Jesus, grow in faith and reach out to our friends. These times together we are calling BEYOND.